Aren't those little spiders the cutest? And I love that this stamp is the perfect size to fit inside the Elegant Square Frame. I had so much fun making cute Halloween cards for my family and friends with this new Halloween Spider Web stamp. I couldn't stop with just one card! See? An entire set! They came together so quickly--all I needed were my markers and some DeNami washi tape: Orange Stripes, Black Curly Loops, Black/White Dots, and Black Chevron. Looking for some more ideas for this fun Halloween stamp? 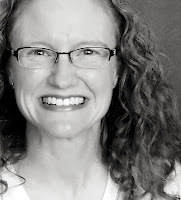 Be sure to check out the rest of the team's lovely creations today on the DeNami blog. Like what you see? 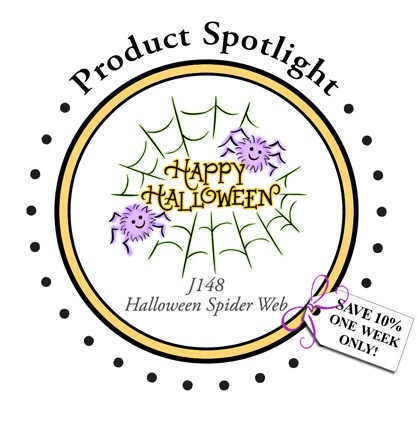 Then you can score a great deal on the Halloween Spider Web--as our Spotlight Product, it's on sale at 10% off for the next week!! Really cute Emily! The shading of the web and coloring of the letters really make this image stand out!! Not a big Halloween fan, but these little spiders are just too cute :) Love their smiles. Great mix of colours you have used with them too. EEEEEK!!! What a fabulous idea Emily, I didn't even think of putting the web in a frame! Don't you just love these new frames, so easy to trim out and great sizes. CUTE CUTE card set! Great card design - these are really cute halloween cards! Gosh. These are soooooooo cute! These cards are Super CUTE, Emily! LOVE the washi! Great use of the washi tape too. It's definitely getting cooler and more like fall here. I will have to make some cards with these ideas. These are too adorable, Emily!! I also love your Rejoice Star Card from the latest issue of Paper Crafts mag. Congratulations and keep up the good work! Who would have thought spiders could be so cute! Super cute cards Emily! Hugz!!!! !